We love Christmas. And it begins to look a lot like Christmas around our house on approximately November 1st each year. I am glad that Andrew is not a scrooge and goes along with my love for all things Christmas. We took a big step this year and hired a company to put up outdoor christmas lights. We have been talking about it for several years and finally decided to take the leap. There is no way after all that one of us would dare get at the top of our roof to do them ourselves. We love the way they turned out...they are perfect. And the company threw in the lights for the trees by the font door at no charge. I am trying my best to get gifts bought and wrapped before I get too uncomfortably pregnant. Sadie loves Christmas because she has tree skirts to nap on. She doesn't really mess with anything although she does get upset when Christmas presents take over her napping locations. 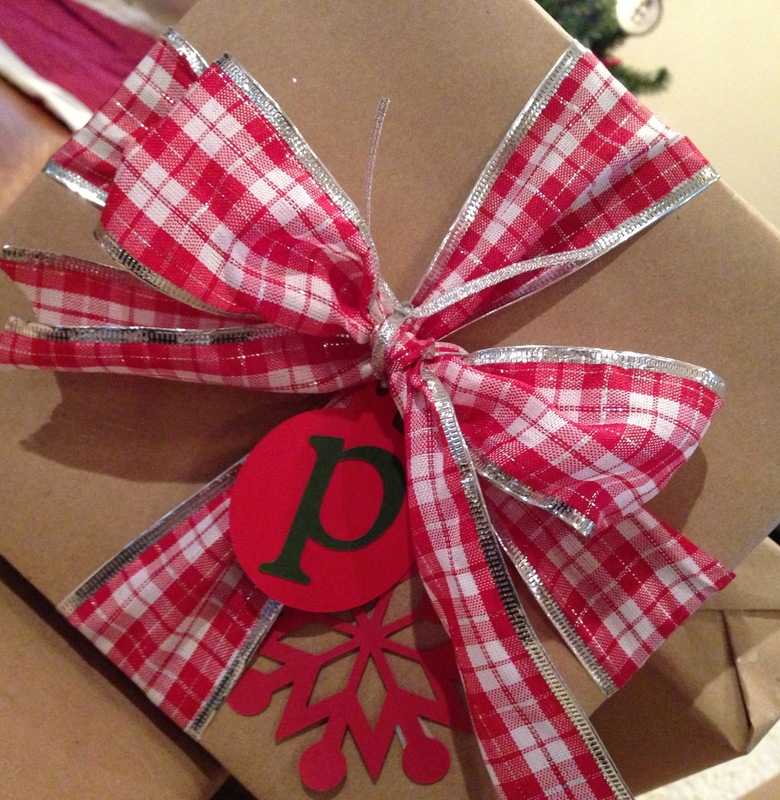 It was a strange feeling wrapping Perry's first present and writing "Love, Mom and Dad" on the card. I know he will likely not even be here for Christmas and will surely not care a thing about presents, but it is fun to see little boxes with his name on them under the tree.